According to Jon Morosi of the MLB Network, the Brewers, Phillies and Reds have also shown interest in the 2-time Cy Young Award winner. Earlier this week, Jon Heyman reported that the Cleveland Indians aren't as "motivated" as they once were to trade either Corey Kluber or Trevor Bauer. That doesn't mean they won't. 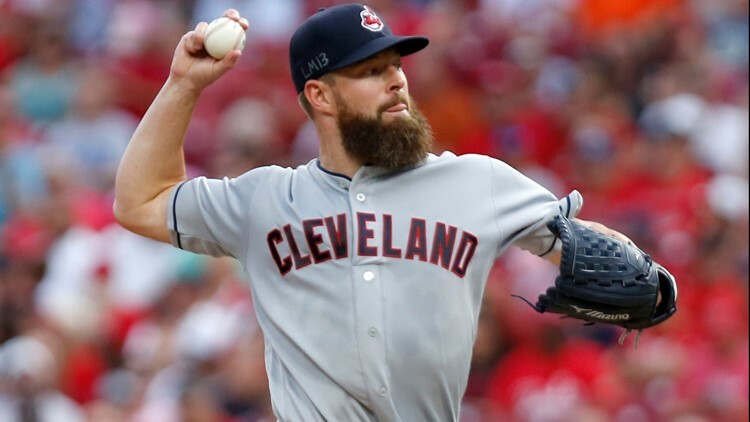 According to Jon Morosi of the MLB Network, the Indians have continued trade talks centered around Corey Kluber with the Los Angeles Dodgers this week. Per Morosi, the Milwaukee Brewers, Philadelphia Phillies and Cincinnati Reds have also shown interest in the 2-time Cy Young Award winner. This isn't the first time Cleveland has been linked to Los Angeles regarding Kluber. Dating back to the first time it was reported that Kluber and/or Bauer could be available, the Dodgers were named as a likely suitor. Talks between the two teams, however, seemed to stall as the Indians made moves elsewhere, including the trading of Yan Gomes to the Washington Nationals, a 3-team trade to reacquire Carlos Santana from the Seattle Mariners in exchange for Edwin Encarnacion and a deal to send Yonder Alonso to the Chicago White Sox. With the approximately $21.5 million in salary the Indians have saved in their deals -- plus, the departure of outfielder Michael Brantley -- the Indians seemed to clear enough money that they wouldn't be financially motivated to move either Bauer or Kluber. But while there may no longer be monetary-based reasoning for such deal, it might also make sense for Cleveland to trade either pitcher in an effort to simultaneously bolster its outfield and farm system. Earlier this month, Morosi reported that if the Indians were to trade Kluber to the Dodgers, they would want top prospect Alex Verdugo in return. On Wednesday, Morosi added that in a potential deal with the Reds, Cleveland has expressed interest in Cincinnati's two top prospects: infielder Nick Senzel and outfielder Taylor Trammell.